Construction of a third bridge across the Menai Strait in North Wales could now start in 2021. The Welsh Government has selected the preferred route for the new road bridge, which will also carry powerlines from the proposed Wylfa Newydd nuclear power station. 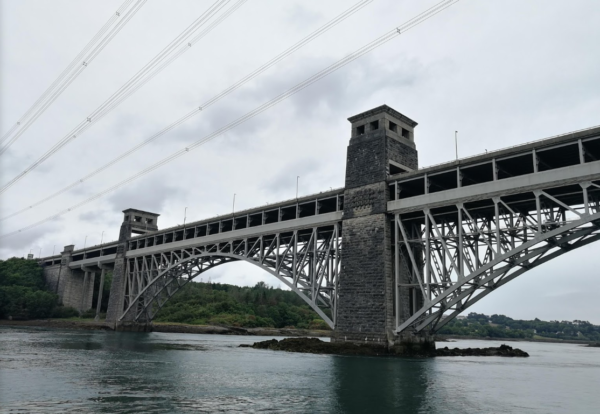 The plan – purple route option – is now to build a new bridge to the east of the existing Britannia Bridge, alleviating congestion on the A55. Additional facilities for pedestrians and cyclists will be included as part of the scheme. A joint venture between Aecom/RML/Knight Architects is the design consultant for the bridge project. As part of the next stages, a procurement exercise will take place to appoint technical advisors to develop the preliminary design and prepare for publication of draft Orders and an Environmental Statement. Further analysis is also required as part of the next stage of development to determine which form of bridge is most suitable. The final cost of the structure is dependent on this analysis. The most likely option looks set to be a cable-stayed bridge across the straits. 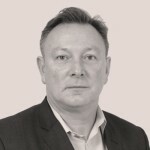 Cabinet Secretary for Economy and Transport, Ken Skates said: “We have made it known for a long time our intention to build a third Menai crossing and today’s announcement is a significant step forward in delivering exactly that.